The fast-food-chain operator adopted the 'recipe for good' narrative this summer. LOUISVILLE, KY: Yum Brands has promoted Jerilan Greene to chief communications and public affairs officer. The fast-food operator added sustainability and government affairs to the remit of Greene, who was previously chief communications officer, to integrate all its reputation disciplines to tell a more "holistic" story, she noted. The company’s message is that Yum is a "growth company that will grow in a socially responsible way," Greene added. "This summer, we expanded our narrative from our ‘recipe for growth,’ or the growth language, to include our ‘recipe for good,’ which is essentially our citizenship and sustainability strategy," she explained. Overseeing 25 staffers, Greene has five direct reports: Virginia Ferguson, director of external comms and global media; Jon Hixson, VP of global government affairs and sustainability; Andrea Whitney, senior director of corporate comms and employee engagement; and Heather Roberts, creative and events director. Greene is continuing to report to chief transformation and people officer Tracy Skeans, who previously served as president of Pizza Hut International. Greene is based at Yum’s headquarters in Louisville, Kentucky, with most of her team, except for a few government affairs staffers in Washington, DC. Greene was named chief communications officer in 2016, as well as its de facto public affairs leader at the time. Jonathan Blum had led public affairs as chief public affairs and global nutrition officer until leaving that year. Yum hired Hixson to lead government affairs in 2017. He also took on sustainability after Roger McClendon, former chief sustainability officer, retired. In 2016, Yum spun off its China business. It also began selling stores to franchisees, with the expectation that 98% of its locations will be franchisee-owned by the end of this year. As a result, Yum is set to own fewer than 1,000 stores, decreasing capital spending to $100 million in 2019 from a half-billion dollars in 2016. 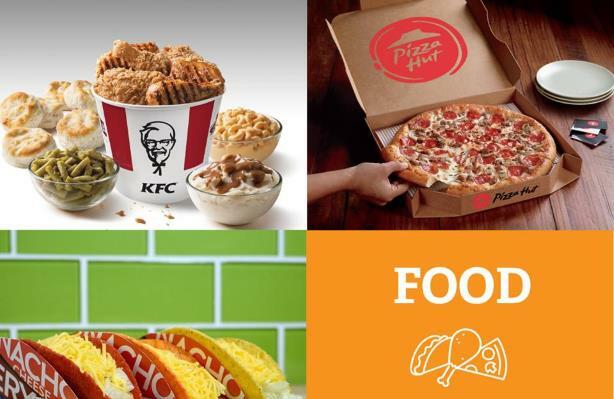 Yum, the owner of Pizza Hut, Taco Bell, and KFC, beat analysts’ revenue expectations in Q2 despite revenue falling 5.5% to $1.37 billion. However, same-store sales missed analysts’ estimates, growing by 1% instead of the 2% predicted.